For parents who enjoyed a relatively smooth time of it raising a daughter to the age of 12, the transition in personality that can take place in any young girl between the ages of 11 and 13 may feel more like the eye of a hurricane than the smooth seas that accompanied that first decade. There’s plenty of blame to go around for this natural metamorphosis: environment, biological maturation, peer pressure and what some parents call the bane of their existence: social media. In this ‘volatile’ time, it can be quite a challenge when buying gifts and toys for 12 year old girls. This transition–from girl to preteen–is no walk in the park for parents, thus shopping for gifts takes on a whole new dimension as that 12th birthday looms. The best way to describe the gift and toy market for this age group is eclectic. From creative kits to gear that encourages preteens to stay active, you’ve got lots of choices. Your task is figuring out which gift pick makes the most sense within your budget. To help you make that choice, it helps understand how girls in this age group are developing and what products are most likely to appeal to their sensibilities. There is no shortage of scholarly studies devoted to understanding this age group, thus we thought you’d be interested in a few revelations we unearthed before you consider the 10 gift ideas we present for your consideration. 1) This period of “adolescent egocentrism” deeply impacts the way girls ages 11 to 13 feel about themselves. 2) The imaginary audience of childhood morphs into questions of how peers think and “see” her at this age. 3) At around age 12, identity vs. role confusion issues arise to challenge the way preteens think. 4) Mood swings become a fact of life at this age as parental resentment heightens. 5) Influence shifts from adults to peers while girls try out newly-acquired independence. 6) Spending time with friends supersedes time spent with family. 7) Social cruelty and bullying can take a toll among preteen girls as they try to find emotional footing. 8) Friendships play a critical role in the development of self-esteem and self-worth. 9) Getting adequate sleep is critical; sleep deprivation can lead to destructive, impulsive behavior. 10) As 12-year-old girls’ moods increase, diversions like music, sports and books become critically important. Description: Hoverboards aren’t necessarily “boy toys” these days! 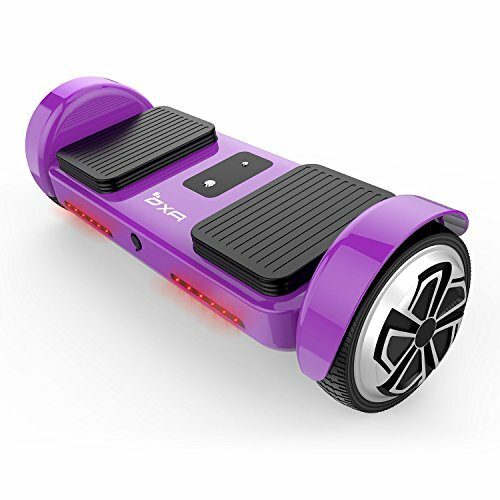 Ask gutsy preteens about this hot purple ride that powers up in 30 seconds and keeps going thanks to the three-hour quick charge battery and you will see two thumbs up. The OXA Hoverboard is a sleek, stylish, fun and safe ride that can achieve a speed of up to 7.5 mph and won’t slow down, even encountering 45-degree slopes. If your girl happens to be a wild child, invest in this hoverboard knowing that it’s strong enough to bear the weight of a car without breaking. How she benefits: There’s nothing like an adventurous ride on a safe, stylish hoverboard to combat hormonal peaks and valleys while improving a girl’s balance and sense of confidence. It’s guaranteed to divert the attention of a 12-year-old away from her smartphone and the exercise and fresh air can’t be surpassed. Description: Is it possible to outgrow Star Wars? 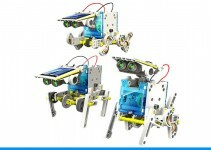 We don’t think so–which is why this app-controlled robot landed on our gift pick list. 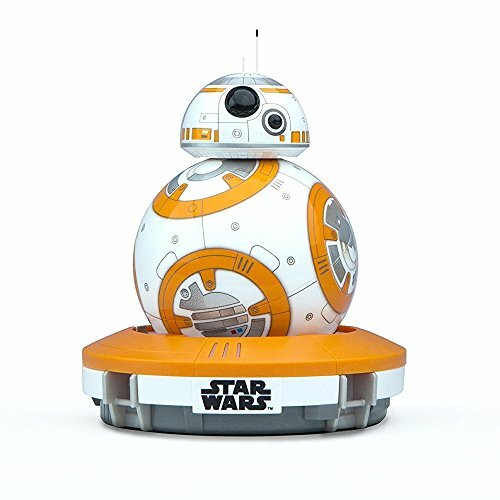 This droid is whimsical, entertaining and sturdy, crafted of polycarbonate, a tough, waterproof material engineered for long life and hours of entertainment. With a 60-minute battery life, induction charging station and free iOS and Android-compatible apps, your gift recipient will enjoy using the Adaptive Personality feature and Bluetooth Smart connection that keeps this droid moving and gesturing nonstop. How she benefits: Fortunately, today’s preteen girl lives in a world where math is fashionable, engineering careers are more likely and girl coders are seen as brainiacs. Giving her a droid that tickles her imagination and furthers her interest in all things mechanical encourages her interest in math and science while diverting her attention away from those mood swings and social worries. Description: This nighttime, outdoor, glow-in-the-dark adventure game has been known to put a grin on the face of the most petulant preteen girl. She can gather friends and challenge them to a traditional game that’s been around for decades–but this version is the ultimate in futuristic fun. It comes with 33 game pieces and at least 12 hours of battery life so the action never stops. 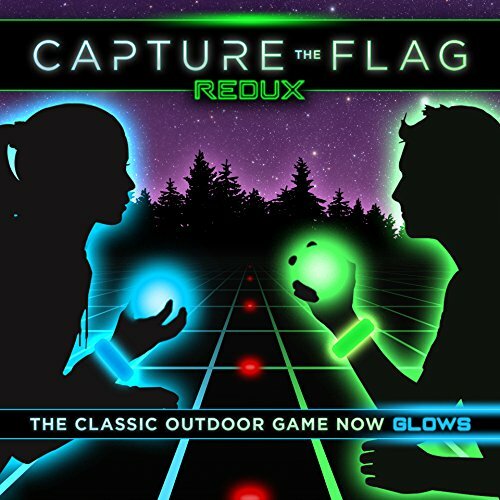 Capture the Flag has been designated “cool” by kids who love lawn games and you won’t find a better ice breaker if your 12-year-old gift recipient is working hard to make new friends. How she benefits: Peer pressure and acceptance is paramount to a preteen, which is why giving your girl the tools to host friends (that also get them out of the house and away from game consoles) benefits a 12-year-old in myriad ways. 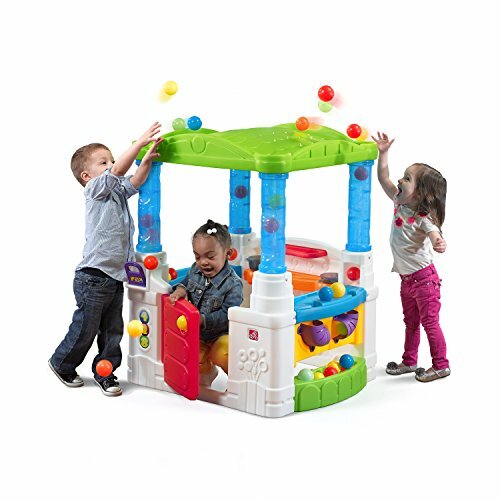 Gather the gang and watch how she becomes the master of her environment as teamwork, camaraderie and plenty of laughs help your gift recipient gain acceptance while improving her social skills. Description: One way to tell that your gift recipient is officially a preteen is by the number of times she craves being alone in her room to study, chat up friends, read or fantasize. That’s why having her own bean bag gaming chair has the potential to become her favorite piece of furniture. This roomy navy chair offers years of comfort because the machine-wash suede cover stands up to snacks, spills and wear. Filled with shredded foam that offers support and comfort, expect a personal thank-you note if you choose this gift for your 12-year-old. How she benefits: “Alone time” becomes a priority for the typical 12-year-old lost in thought as she navigates the world of middle school intrigues. Having a chair to call her own so she can post to her diary, read, talk on the phone and listen to music gives your gift recipient a place she can call her own. Of course, she can use this as a gaming chair, if that’s her thing, but it’s the girly-girl activities that dominate her life that make this chair such a terrific gift choice. Description: Taylor Swift plays one. So too do Ellie Goulding, Gaga, Ariana Grande and a long list of pop stars today’s 12-year-old admires and follows. Introduce your preteen to the guitar, boost her confidence and give her a great musical escape she’ll appreciate when dealing with middle school stress and peer pressure. 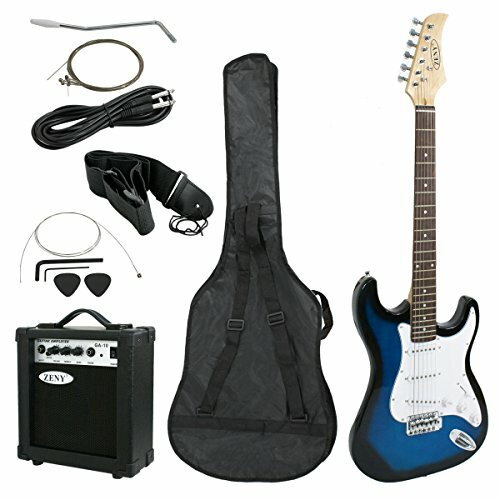 This beginner combo has it all: a right-handed guitar ready to use “out of the box,” nylon carry case, cables, cords and even a small amp. Get her interested in music and she can move on to other instruments down the road. How she benefits: The number of studies correlating the acquisition of music skills with self-esteem and peer acceptance are plentiful, but music does more than just instill confidence: practice builds focus, good study habits and concentration skills. This affordable set can satisfy your preteen’s need for attention and admiration if she sets her mind to mastering this popular instrument. 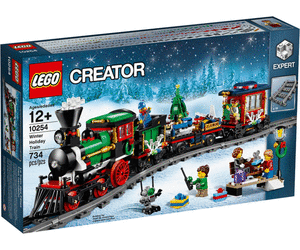 Description: Are you seeking a gift that will delight a 12-year-old that won’t break your gift budget? Count on America’s first name in games, Hasbro, to solve your dilemma. This is a lip-reading challenge game that guarantees laughs and challenges everyone in the room as a gaggle of girls take turns wearing noise-canceling headphones to guess what another player is saying. Nobody will get bored: there are 600 phrases on 150 cards plus a timer, just to make sure each lip reader in the circle gets a turn. How she benefits: Video games may dominate today’s market, but if you introduce the right non-video game to a preteen, she adds social skills to her repertoire and heightens her ability to interact with the peers she is trying to cultivate. 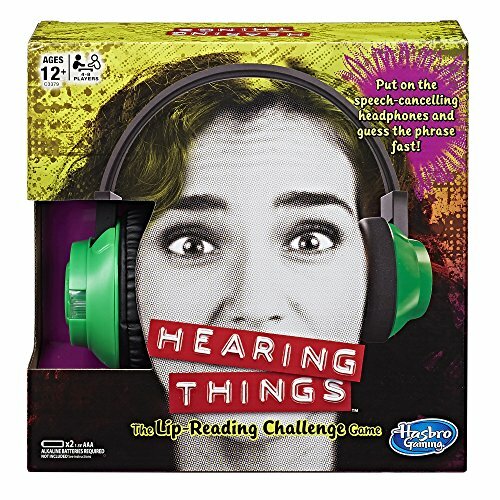 “Hearing Things” uses just the right amount of technology (those noise-cancelling headphones) to spark the imagination, jump-start laughs and boost critical thinking skills within the confines of a group that promotes just the right pairing of competition and bonding. Description: It’s a sign of the times and girls love posting! This mini-LED cinema light box with changeable letters, symbols and Emojis gives preteens opportunities to express themselves thanks to this USB- or battery-powered light box. Your gift recipient need only slide letters and symbols into slots to display a message, express joy, or post the names of gal pals or even her latest teen crush. This Doingart product is a great gift pick for preteens who host sleepovers, too. How she benefits: Can there be too many opportunities for a 12-year-old to express her thoughts, feelings and creativity? Not according to experts in teen development. 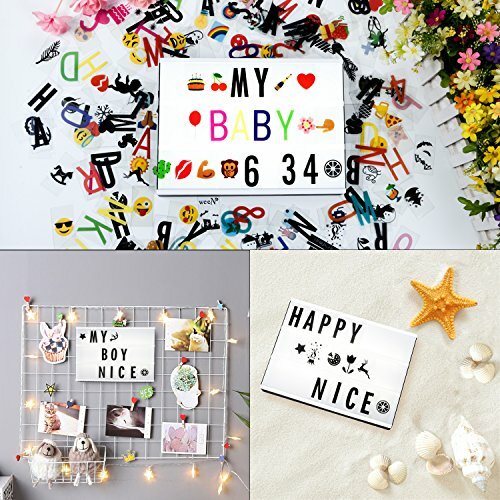 This illuminated sign board can serve as an outlet for frustration, a place to showcase dreams, a fun way to communicate at parties, and it even makes a great nightlight. Description: Want to become the favorite person in the life of a 12-year-old? Give her a Fire HD8 tablet and the job is done. This Fire is a new generation of this popular device and it’s got all the bells and whistles a preteen could ask for. 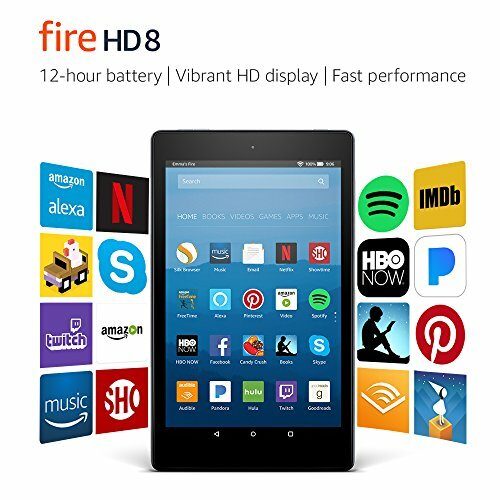 More durable than the iPad and featuring up to 12 hours of battery life, this Fire is loaded with storage capacity to hold endless selfies, and thanks to the clarity of Dolby Audio, her playlist can expand. The recipient of your gift also enjoys access to e-books, TV shows, apps, games, Netflix and Alexa. How she benefits: One of the best features of this 8-inch HD display with 16GB capacity are the parental controls that allow parents to keep tabs on media to which their 12-year-old child is exposed. Tablets help preteens feel connected, serve as resources for schoolwork, and with helpful apps at her fingertips, she gains communications skills and confidence that only comes from learning to manage her life as she develops her independence. Description: One minute, she’s a savvy preteen. In the next, she’s giggling in a corner over a joke that only a child can appreciate. Such is the world of the 12-year-old girl who stands with feet in two worlds. Bottom line is that she’s still ready to have a blast making charm bracelets now that fashion plays a big part in her life. This kit is loaded with crafting supplies that include a molding tool, clay, jewelry hardware, charms, eyelets, glitter glue and more. A great activity for alone time or with friends, this gift idea appeals to introverts and extroverts alike. How she benefits: Self-expression remains a critical part of the maturation process as girls become attracted to trends and fads that drive and define what she wears, what she favors and even her circle of friends. Because items in this kit aren’t complicated, it’s easy to achieve success by producing unique pieces of jewelry that not only satisfy the maker but serve as symbols of accomplishment, too. And you don’t have to spend a fortune to give your gift recipient all of this pleasure. 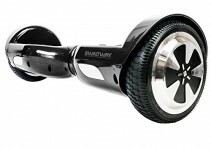 Description: If that hoverboard doesn’t cut it, but the idea of getting around on a scooter excites the 12-year-old recipient of your gift hunt, you’ve found exactly what you’re looking for in the Z300. There’s not much of a learning curve associated with this light scooter that’s outfitted with myriad features including oversize grips for safety and control. Engineering includes an IHC compression system, headset bearings, a one-piece steel fork, steel and nylon brake and aluminum wheels. Got a daredevil on your gift list? 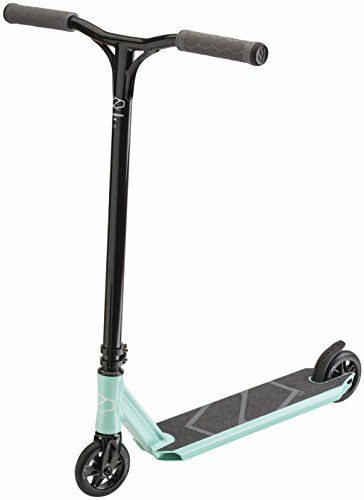 Tell her that this scooter is “ready to shred” right out of the box and she’ll leave you in the dust. 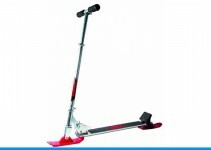 How she benefits: This scooter boosts eye-hand coordination, promotes balance and delivers a kind of freedom that only a preteen understands when the day is bright and being outdoors is the only way to fly. Of course, no “vehicle” comes without risk–which is exactly what some preteens love about everything on wheels. Worried? Don’t be. Add a safety helmet to your gift purchase and congratulate yourself on choosing a gift guaranteed to get your preteen girl out of the house and away from her electronic devices. For this reason alone, it’s one of the best gifts and toys for 12 year old girls.